The Jeep has evolved since the Second World War. Today, it’s a stylish vehicle that offers a smooth and safe ride. 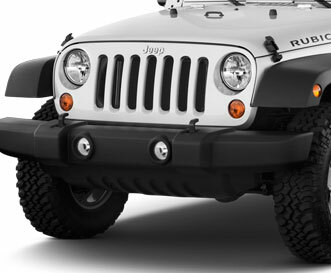 Except for the free-spirited Wrangler, every Jeep is built with a heavy frame that has a distinctive look and feel. If you’re interested in experiencing the automotive experience like the soldiers did in Europe, take your Wrangler on a rough side-street. If you mess it up a little, know that B&C Auto Center can supply you with a Jeep repair. In all seriousness, the boys at B&C Auto Center know their Jeeps. Whether you know the cause of your Jeep’s problem or not, we’re confident we can fix it. Feel free to bring it in for an inspection and we’ll give you a detailed description of the problem your Jeep is experiencing. Also, we’ll do everything in our power to make the fix as affordable as possible. We are an ethical automotive establishment that offers cost-effective services and Jeep repairs. Just ask our present customers! Even if your Jeep is not in need of repair, B&C Auto Center offers preventative maintenance work in the form of 30K servicing, 60K servicing, oil changes, fluid changes and more. After you visit us in Willow Glen, you’ll never rely on anyone else for Jeep repair and maintenance.